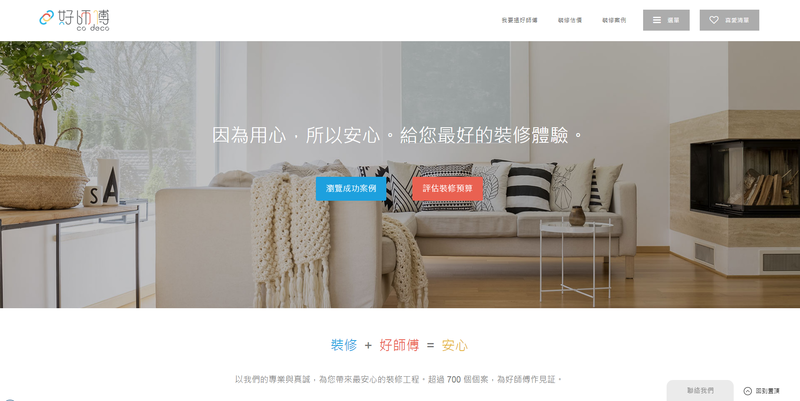 CoDeco (好師傅) is the intermediary platform for renovation services with the sole purposes of closing the gap of information asymmetry in the home renovation space and actively bringing the customers together with the labour force. The platform is more than an one-direction offering of renovation service through pre-screened contractors, Hocfu leverages on technology to provide the best matching and communication channels connecting contractors and customers, empowering and supporting these stakeholders whenever in need. We at Hocfu firmly believe we are not just improving the efficiency of renovation services, or the utilization of labor resources for contractors, or even the user experience for customers, we are looking to redefine the ecosystem of the home renovation industry.